We are going to start with A Place Where Sunflowers Grow by Amy Lee-Tai. 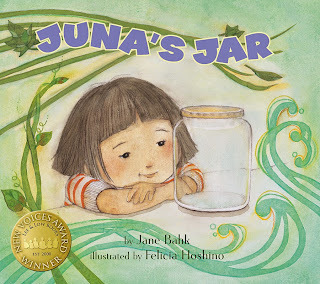 This book is about a Japanese American girl during World War II. She is trying to adjust to the new life in the internment camps. She is missing her old house and friends and trying to make sense of it all. 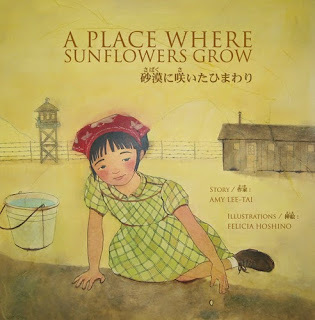 It is a bilingual book and is a wonderful story sharing how a young child must have felt to be taken from the life she knew and put into such a strange environment with guards with guns all around. 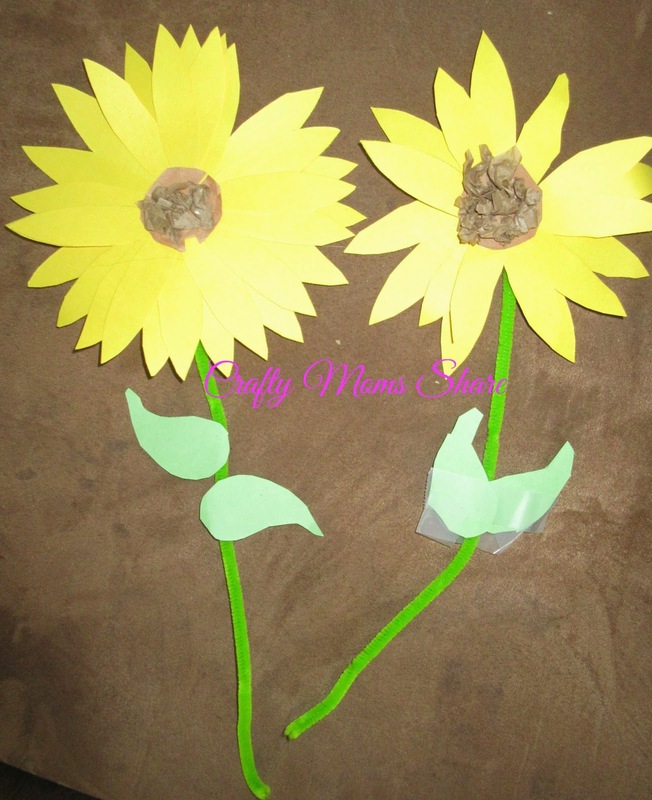 To go with this book, we made some paper sunflowers. The young girl and her mother try to grow sunflowers in the desert since they had them in their backyard in California. 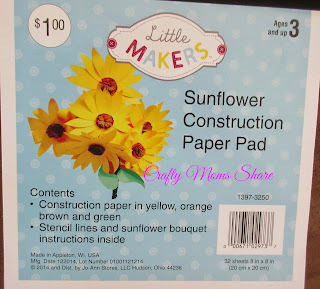 I had found this pad at one of the stores while Hazel was home with an itchy rash last week. I figured it might distract her to make them. 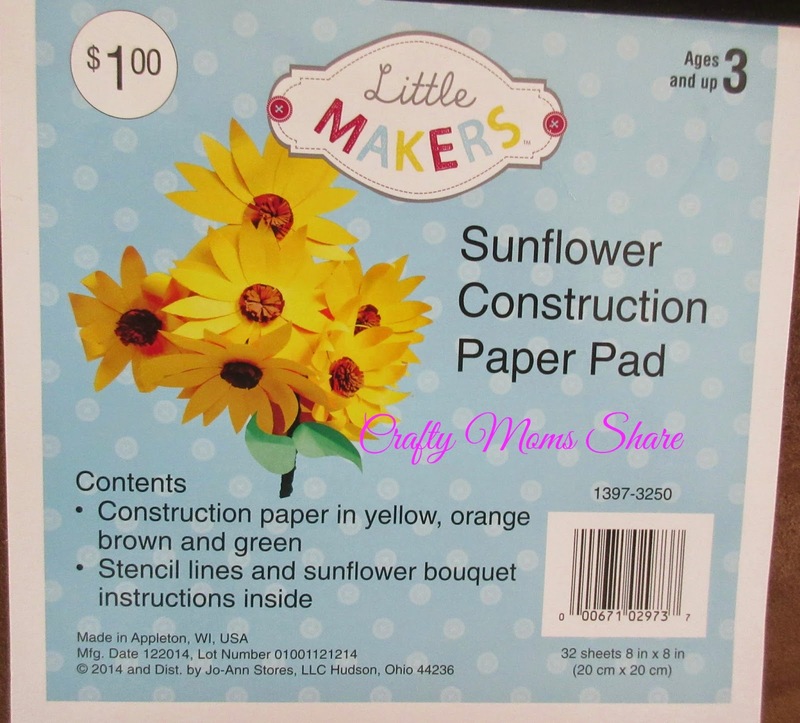 It has the pattern on the inside cover and green, brown, yellow and orange construction paper. We used some brown tissue paper squares to make the center part. 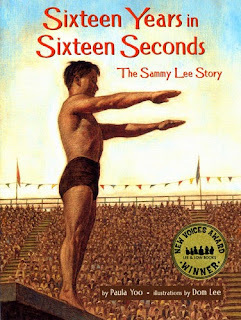 Next we will look at Sixteen Years in Sixteen Seconds: The Story of Sammy Lee by Paula Yoo. This is the story of the life of Sammy Lee. Sammy was a Korean American who lived in California. He hated having to wait to go swimming in the public pools on the day they allowed colored people to swim. He dreamed of becoming an Olympic diver. His father wanted him to become a doctor. He did both. He became the first Asian American to win a gold medal in diving and the first person to win gold medals in two consecutive Olympics. It is a wonderful story that looks at segregation from another race's point of view. 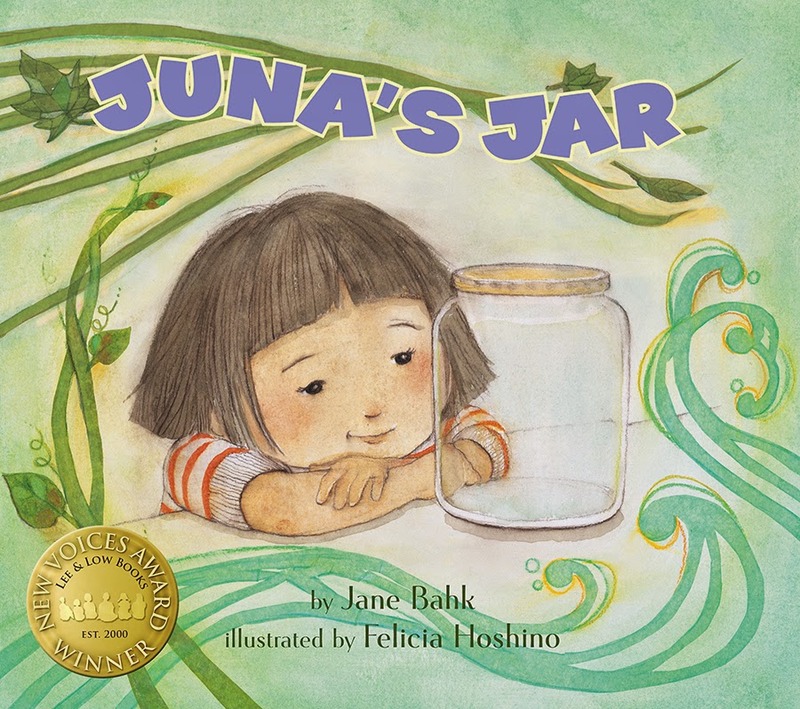 Next is Juna's Jar by Jane Bahk. Juna is a young Korean American whose best friend has moved out of the city into a big house. She is lonely and misses him. They often played with their kimchi jars. Hers was now empty and she did not know what to do with it. Her older brother had some ideas for her and with each idea she imagines/dreams amazing things happen during the night. 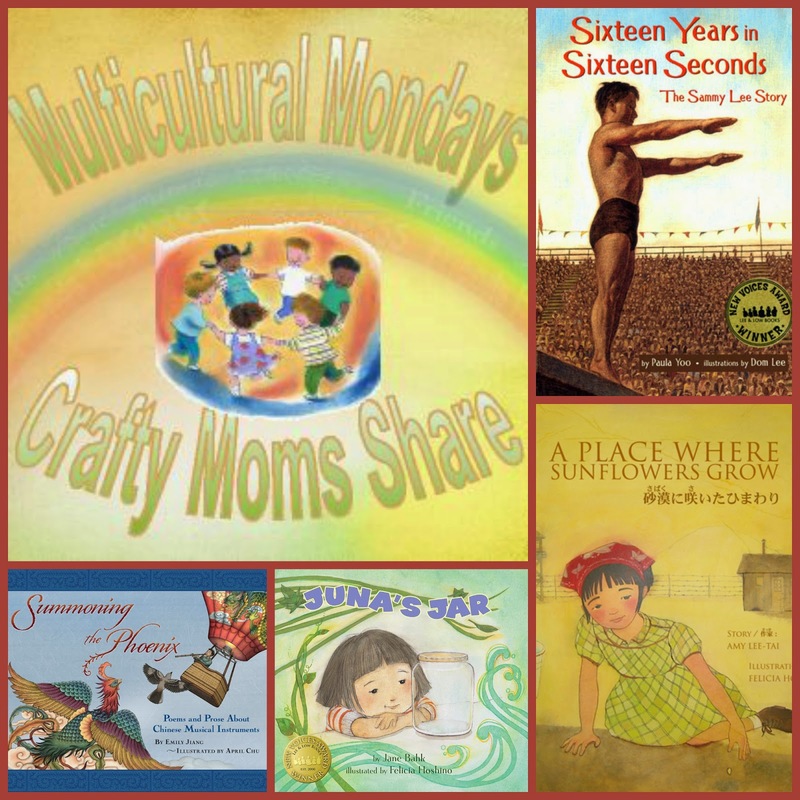 It is a wonderful story about multicultural friendships and the trials of being young friends. 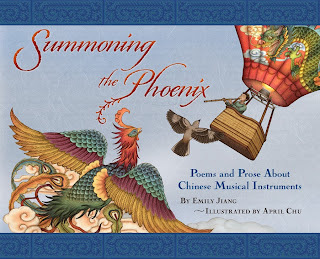 Our final book today is Summoning the Phoenix: Poems and Prose About Chinese Musical Instruments by Emily Jiang. This wonderful book shares a poem and then information about various Chinese musical instruments. I have to admit I had not heard of any of them. I have not read this story to Hazel yet, but know she is going to love it! For these prizes I will provide a link to where I shared the prize previously or a link to where I reviewed something from the company. The last two prizes I will share a bit about. Countryside CD by Kevin So: Kevin So is a Chinese American musician. He grew up in Boston and I found him when I was the adviser to a high school diversity club. His music is amazing!! This is his newest CD which I have not heard yet, but I know I LOVE his music. You can preview it on his website. Be sure to check out his touring schedule because his live show is one not be missed! 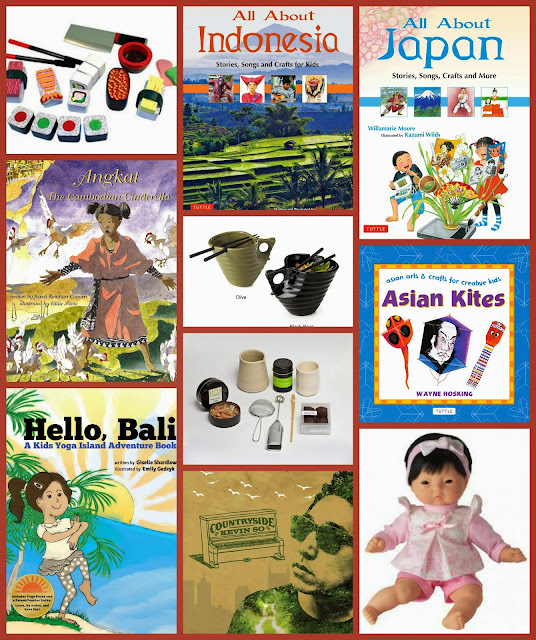 Asian Baby Doll from Pattycake Doll: This company is the place to go for multicultural dolls. They have many!! And they donate a portion of the proceeds to charity!! They have a new biracial doll that is Black-Asian. They offer a huge variety of dolls of various races in all types--18-inch, baby doll, soft dolls, etc. Be sure to check them out!! Those are the prizes I could preview for you. 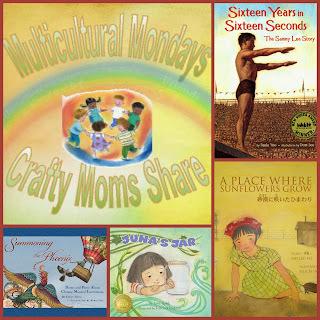 I am hoping to check out Indian Children's Favorite Stories next month when we explore India. I hope you will take the time to enter to win one of these amazing prize packs!! And check out the posts in the series! Nice! Will check out if I can join the giveaway. These books are very interesting though s I'll see if the local library has them too. Thanks for sharing!